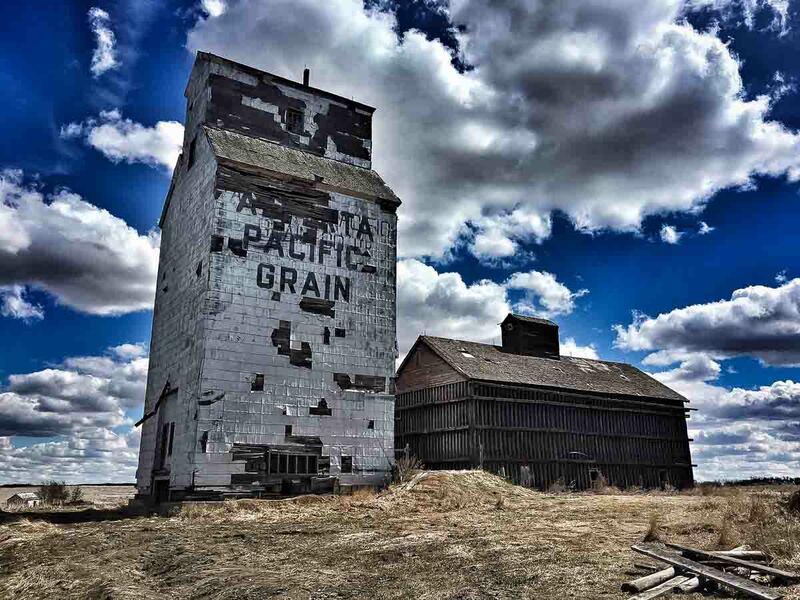 Photographer Jan Normandale has shared several of his grain elevator photos with us. Jan photographs a wide variety of subjects, from elevators to abandoned places to landscapes, and you can see some of his work on his Tumblr page. 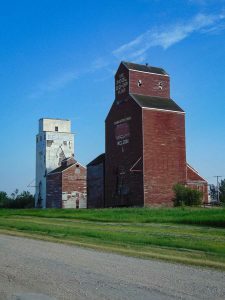 Lousana, AB grain elevator. Contributed by Jenn Tanaka. I’d like to welcome new contributor Jenn Tanaka! 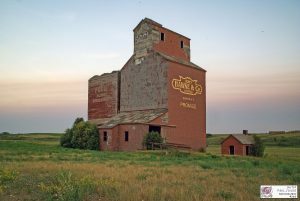 Jenn drives all over Alberta looking for abandoned places, and writes about them on her excellent blog, West of the 5th. For a few examples of Jenn’s photos, see Lousana or Rowley. Stalwart, SK grain elevator, June 2017. Contributed by Adam Bouvier. I’d like to give a welcome to new contributor Adam Bouvier! When I put out a call for contributions to this site, he stepped up with a large catalog of images. 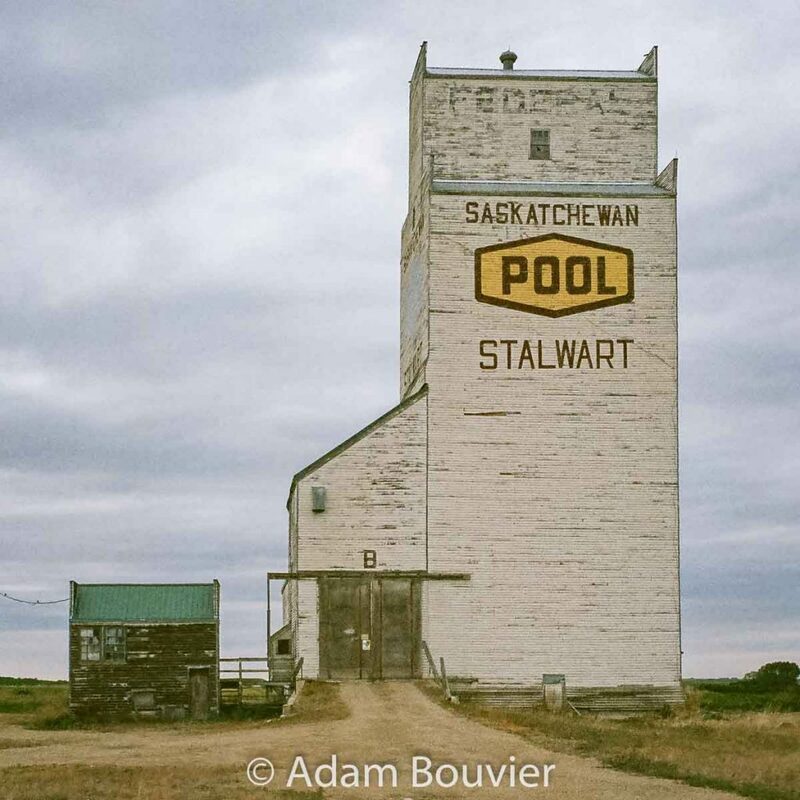 Adam has been taking photos of elevators for over a decade, and has many photos of elevators in Saskatchewan in particular that I do not have. I’ve been populating a lot of the pages here with his photos – see Fleming and Tonkin as two of many. 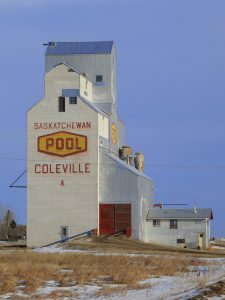 In some cases he has photos of the same locations I do, but from an earlier time, so they provide some documentation on how the elevator or town has changed over the years. Stay tuned for more new contributors! 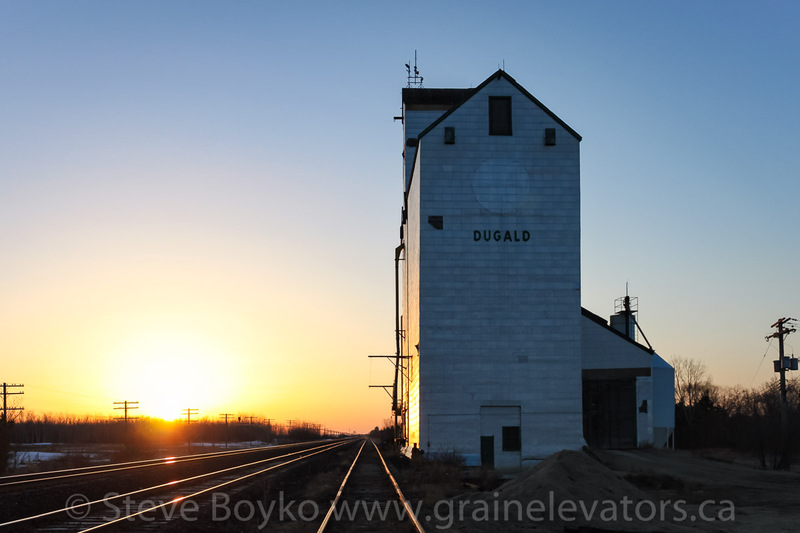 Dugald, MB grain elevator. April 2011. There’s over 100 pages on this site now… it’s growing! 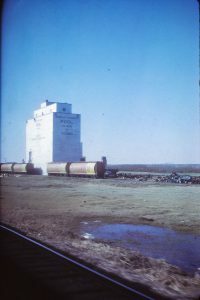 Some of those pages are “index” pages like “Alberta Grain Elevators P-S” but most are actually grain elevators. It’s been interesting for me to see how many grain elevators I’ve actually photographed to date. Beyond Manitoba I thought Saskatchewan would be the second most photographed province for me, but it’s actually Alberta. 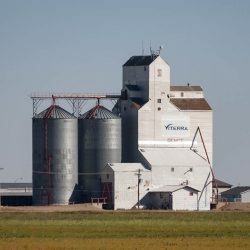 I think it’s because I have traveled to Lethbridge several times for work and photographed all the elevators in the area, like Skiff and Fort MacLeod. 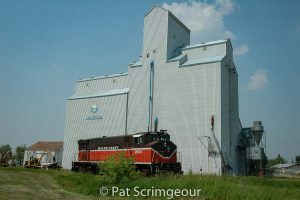 At this point I have all of my non-Manitoba photos on the site and I’m working on moving all the elevators from Manitoba Grain Elevators over to this site. I will retire MGE once all the pages have been redirected here. I need your input! Please contact me at steve@traingeek.ca if you want to share your own Canadian grain elevator photos. Thanks in advance! 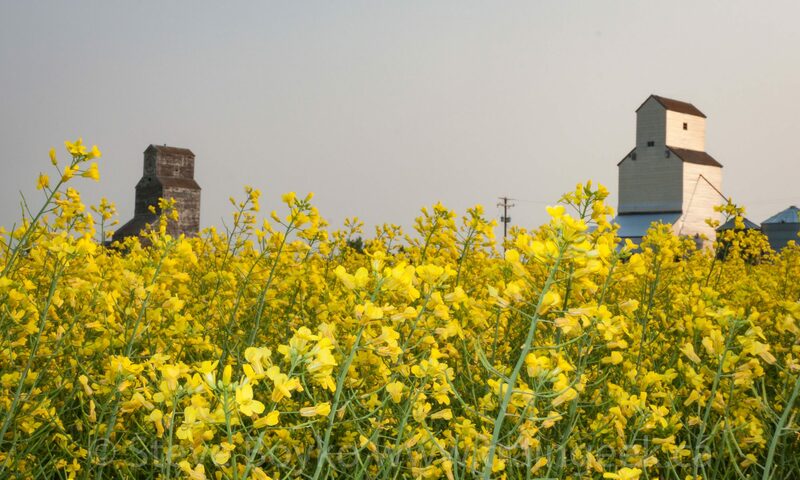 Welcome to grainelevators.ca! 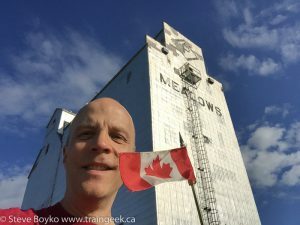 I recently acquired the domain name and I am starting to repopulate the site with photos of Canadian grain elevators. I thank you for your patience and over time I hope to have photos of every Canadian grain elevator here. If you wish to contribute some photos, please email me at steve@traingeek.ca and I’ll be glad to include your photo.